What’s in store for the new Murphy Brown? New details have emerged about the upcoming CBS TV show reboot, Deadline reports. As reported earlier, CBS has ordered 13 episodes for a Murphy Brown reboot. The sitcom originally premiered in 1988 and starred Candice Bergen as the titular Murphy Brown, a recovering alcoholic and investigative journalist who returns to host the fictional TV news program, FYI. The cast also included Faith Ford, Pat Corley, Charles Kimbrough, and Lily Tomlin. The show ran on CBS for 10 seasons before ending in 1998. During a recent CBS upfront presentation, the network revealed the Murphy Brown revival will see Murphy (Bergen) hosting a morning cable news show in the same vein as Fox & Friends and Morning Joe. What do you think? 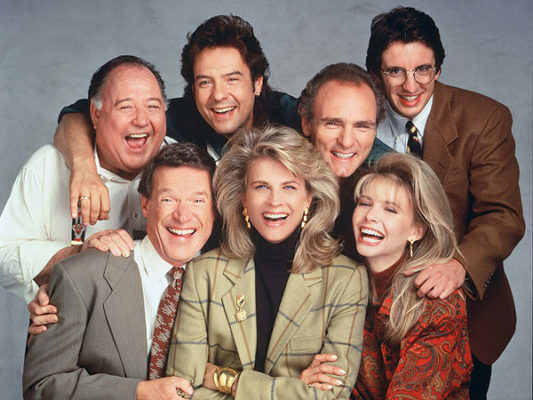 Are you a fan of the original Murphy Brown? Will you watch the reboot?